After yet another combative spring session of the House of Commons and with the next Federal Election now only 15 months away, Prime Minister Justin Trudeau has shuffled his Cabinet. This is likely to be the last shuffle before Canadians go to the polls in October 2019. The move was expected to occur in late summer prior to the Cabinet retreat and Liberal Summer Caucus meeting. The accelerated timeline suggests a desire to give the new Ministers additional time to learn the portfolios ahead of Parliament’s return on September 18th. 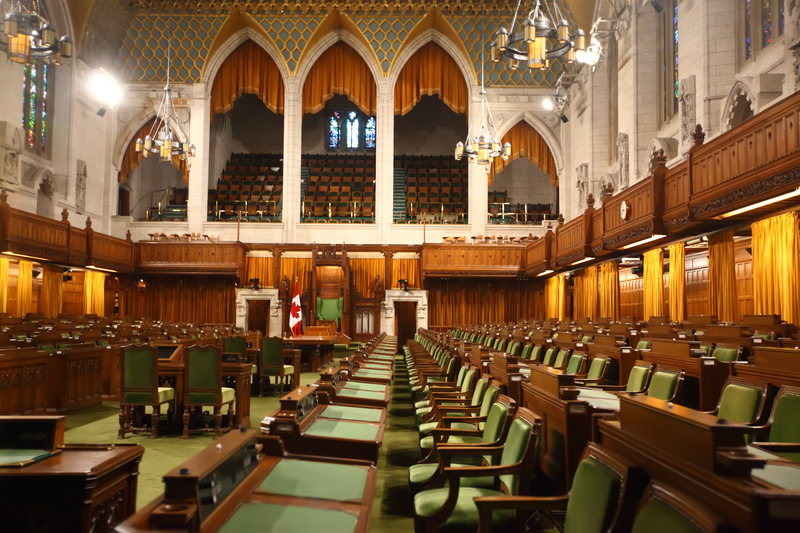 While the shuffle was clearly undertaken with an eye to the election, there is still much to be delivered before the end of the four-year mandate, including the implementation of Bill C-69 and Bill C-68, the roll-out of the federal carbon pricing system slated to begin in January, the disbursement of significant infrastructure and innovation investments, and saving NAFTA. All Ministers will be expected to deliver over the next 15 months. Mandate letters for the newly appointed Ministers are expected to be posted later this summer. Originally thought to be two or three minor adjustments, the shuffle is the largest one undertaken by the Trudeau government to date in terms of the number of moves and promotions. Despite this, the key files of Finance, Foreign Affairs, Indigenous Services, Environment and Labour remain untouched. The shuffle, as predicted, expands the size of Cabinet from 30 to 35 members including Trudeau, with 17 women and 18 men. The biggest move sees Jim Carr, seen as one of the Government’s most capable operators, moved from Natural Resources to the renamed International Trade Diversification portfolio at a time when ratification of CETA is once again in danger due to a new, less cooperative Italian government. Carr’s new role also places a new emphasis on increasing trade and finding new partners beyond the United States in a potential post-NAFTA world. Amarjeet Sohi moves from Infrastructure and Communities to NRCan and Francois-Philippe Champagne moves from International Trade to Infrastructure. Moving Sohi, the only Alberta Minister, onto the NRCan file reasserts the government’s stance on the Trans-Mountain Pipeline in its dispute with the Province of British Columbia. The government intends to see construction go forward. Dominic Leblanc, one of the Prime Minister’s closest friends and advisors, moves from Fisheries, Oceans and the Canadian Coast Guard to the role of Minister for Intergovernmental and Northern Affairs and Internal Trade. The role serves as chief emissary of the Federal Government in dealing with the provinces. He inherits the Northern Development portfolio from Minister Carolyn Bennett who remains at her post of Crown-Indigenous Relations, and Leblanc inherits responsibility for the interprovincial trade file from Minister Navdeep Bains at ISED. Carla Qualtrough remains at Public Services and Procurement (PSPC) but regains her old portfolio of Minister of Disabilities as well. Kirsty Duncan remains Minister of Science and Sport. Melanie Joly, after a tenuous stint at Heritage that saw a contentious roll-out of the Government of Canada’s content deal with Netflix in Quebec, is moved to the new hybrid Department of Tourism (splitting off from Small Business), Official Languages and La Francophonie. Marie-Claude Bibeau remains Minister of International Development. 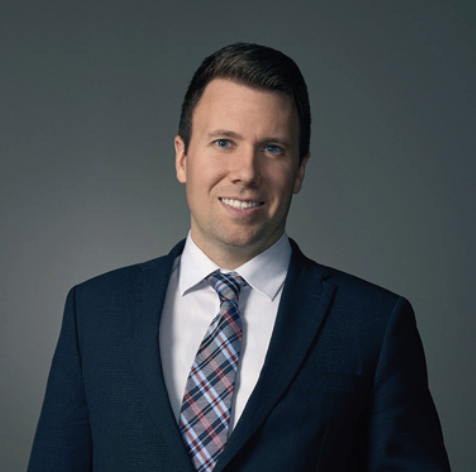 President of the Treasury Board Scott Brison has had “Minister of Digital Government” added to his duties giving an official capacity to his coordination of the across-government effort on modernization. The shuffle sees the creation of two new ministries with Deputy Whip and Hamilton MP Filomena Tassi becoming the new Minister for Seniors. This is seen as a big win for the Canadian Medical Association which has been pushing all Federal parties for a national seniors’ strategy for some time. Former Toronto Police Chief and Scarborough Southwest MP, Bill Blair assumes the mantle of Minister for Border Security and Organized Crime Reduction. Whether Blair’s department will assume the Canadian Border Services Agency (CBSA) from Public Safety remains to be seen but his new mandate is in part seen as bringing aid to Ahmed Hussen at Immigration over the increased traffic and crossings of asylum seekers at the border. 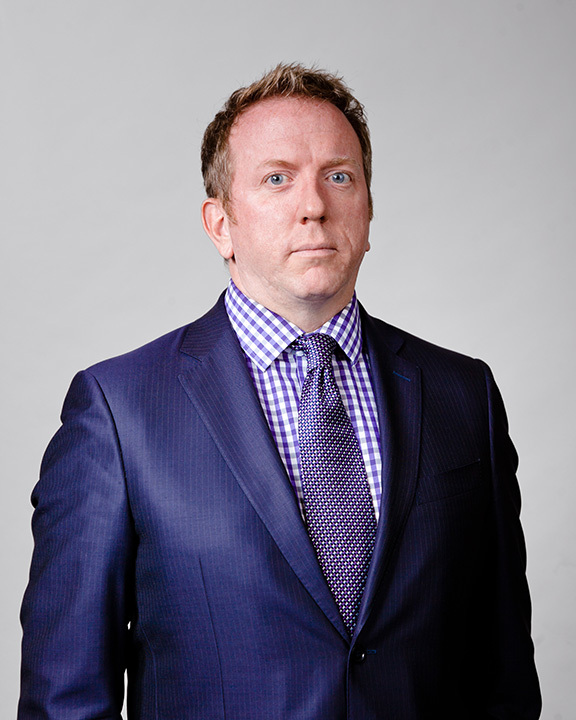 Jonathan Wilkinson, the MP for North Vancouver and long-serving Environment Parliament Secretary becomes the Minister of Fisheries, Oceans and the Canadian Coast Guard - the first from the West Coast since Herb Dhaliwal in 2002. Wilkinson’s arrival on the file removes the immediate controversy around the Surf Clam licensing issue for which Leblanc had been accused by Opposition Parties of reorganizing for personal benefit. Mary Ng, the MP for Markham-Thornhill becomes the Minister of Small Business and Export Promotion. She previously served as Director of Appointments at PMO and is seen as a close ally of Trudeau and Chief of Staff Katie Telford. Montreal MP Pablo Rodriguez becomes the new Minister of Heritage and Multiculturalism. Previously an MP from 2004-2011, Rodriguez is a long-time stalwart and organizer for the Liberals in Quebec and was previously Chief Government Whip. When asked how much of today’s shuffle is about Canada-US relations, Prime Minister Trudeau responded “there is certainly a level of clarity for Canadians, for businesses, for everyone across this country that we need to diversify our markets. We need to ensure that we are not as dependent on the United States." This explains the focus on innovation and trade, and why strong performer Minister Freeland was kept on Foreign Affairs to continue spearheading the NAFTA negotiations and managing tariff-related issues. But the context isn't just changing south of the border; we are seeing changes in Canada as well. When Trudeau took office provincial dynamics were different. With Doug Ford in Ontario, Scott Moe in Saskatchewan, Brian Pallister in Manitoba, upcoming elections in New Brunswick, potentially Jason Kenney in Alberta and a potential shift away from the Liberals in Quebec this fall, federal-provincial relations will require more energy. Trudeau had been personally handling the intergovernmental affairs file since coming into Government in 2015. The move to appoint Dominic Leblanc as Intergovernmental Affairs Minister comes at a time when the Federal Government faces renewed opposition from the provinces on its implementation of the national carbon pricing system, issues related to border security, disputes over pipelines and interprovincial trade. It is anticipated that border security will be a hot issue in the 2019 federal election, driven in part by the increase of asylum seekers at the border in recent months. The creation of the Ministry of Border Security and Organized Crime Reduction is a response to this. By putting Bill Blair on this file, Trudeau has put an experienced, albeit controversial, player onto the political battlefield. Expect to see tension between Blair and Doug Ford’s PC government in Ontario. The two have a history dating back to the Toronto Police Service’s extended investigation into the late Toronto Mayor Rob Ford’s conduct. Now that Blair will be one of the Ford government’s chief interlocutors, it will be difficult to predict how this will play out for the Liberals. By splitting Small Business and Tourism and moving them to two new Ministers, Bardish Chagger now focuses solely on her task as Government House Leader and the implementation of the remaining legislative agenda ahead of the dissolution of Parliament in Summer 2019. Tassi and Rodriguez’s promotions also mean a new House Leadership team in the Whip’s office will need to be appointed prior to the Fall. Today’s shuffle comes as the first of two final pieces that firm-up Team Trudeau into its final form ahead of the 2019 Federal Election. The second is the shuffling and reappointment of Parliamentary Secretaries which is expected shortly. Another interesting factor is the remaining in place of Ministers Ralph Goodale, Marc Garneau and Lawrence MacAulay all of whom had been the subject of potential retirement rumors in the preceding months. PMO is believed to have affirmed all members of Cabinet’s intention to run again prior to these moves suggesting some of the senior hands may be staying on deck through the next election. The Conservative Party responded by calling the shuffle a “photoshopped image of the same old government to hide their inability to govern,” and a tacit admission of failure on the files of energy, pipelines and trade. Sussex has good working relationships with many of the Ministers involved today, including their respective staffs, and is now reaching out to ensure a smooth transition for clients. As always, your Sussex Federal Government Relations team is here to answer any questions and address any issues you may have regarding the shuffle and transition within these Departments following today’s moves.